July 1, 2015 – After a career spanning 53 years and championing a mission deemed impossible for decades, William Borucki, the principal investigator of NASA’s planet-hunting Kepler mission, will retire from the agency on July 3. Borucki’s civil service at NASA’s Ames Research Center in Moffett Field, California, culminated with the development and launch of NASA’s first mission to detect Earth-size planets around other stars in the habitable zone — the range of distances from the host star where liquid water might exist on the surface of an orbiting planet. Since its launch in March 2009, Kepler has made scientists and enthusiasts alike reimagine the possibilities for life in the galaxy. After a rejection in 1998 due to concerns of the instrument’s ability to perform in the harsh environment of space, Borucki and colleagues built a test-bed facility to demonstrate Kepler’s design stability and sensitivity. With the final concerns addressed, the mission once deemed impossible was accepted in 2000. Acknowledging Kepler’s achievements, Borucki was recently awarded the esteemed Shaw Prize in Astronomy 2015 for conceiving and leading the Kepler mission, which greatly advanced knowledge of both extrasolar planetary systems and stellar interiors. This $1 million award capstone is on top of recognition from U.S. President Obama and many prestigious national space and science foundations. During the first 10 years of Borucki’s career, he worked on the challenge of getting astronauts to the moon and safely returning them to Earth. He conducted laboratory and theoretical studies of the radiation environment of vehicles reentering Earth’s atmosphere. The results of the investigations were used in the design of the heat shields for the Apollo program. After the successful moon landings, Borucki spent the next 12 years studying Earth’s atmosphere and lightning activity in planetary atmospheres. He developed models of Earth’s atmosphere that estimated the changes in Earth’s ozone layer. He also built a lab facility to produce lightning discharges in simulated atmospheres of Jupiter, Venus and Titan. Ball Aerospace built the photometer and spacecraft for NASA’s Kepler Mission. 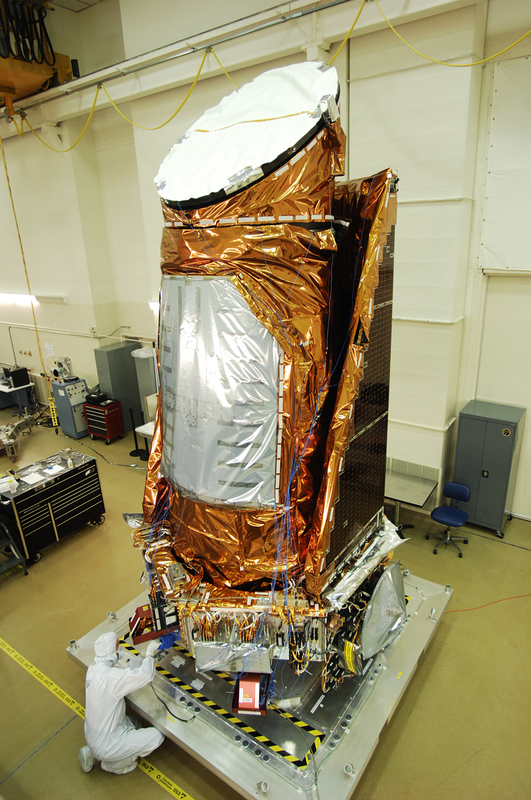 CU-Boulder’s Laboratory for Atmospheric and Space Physics managed Mission Operations for Kepler and continues to do so for the follow-on K2 mission.